So I was hanging out with the lovely Brynn Paulin the other day and she was helping me make promo stuff for the upcoming Romanticon ’cause technology and I aren’t best-ies. Anyway, we were talking about what images we’d use on the postcards and wondering about what EC would do with the cover art for my upcoming print anthology for my three Torrid Tarot books. 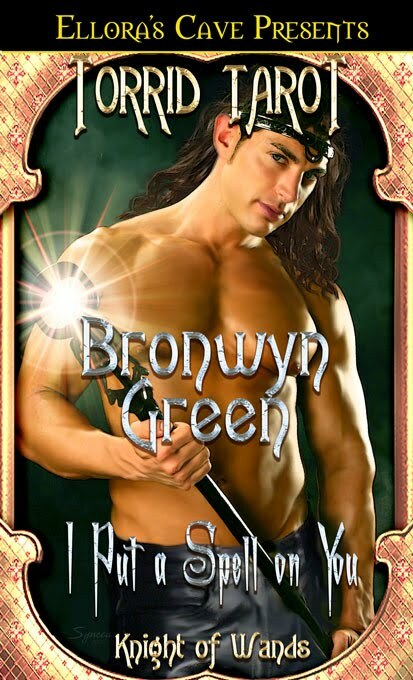 She brought up my author page on EC’s site and started smirking when she hit the cover for I Put a Spell on You. Before I show you what amused her, let me show you what I had envisioned for my character. In my head, this is Gray Foster. In the artist’s head, this is Gray Foster. Now check out what Brynn found. Gray Foster on my book cover bears an uncanny resemblance to Elijah Wood who totally looks like Hester Prynne. I think there might be fewer than six degrees of separation between I Put a Spell on You, The Lord of the Rings and The Scarlet Letter. Hahaha! It's amazing the different mental images we have when reading or writing books. It's kind of like when you talk to someone on the phone and then are shocked when you meed them in person. OMG…best laugh I've had all day! Oy! (smacks head.) Sometimes you gotta wonder what they're thinking. Still can't figure out who the gnome is on the cover of Teach Me. Darn! Don't you hate when your character descriptions get lost in translation? 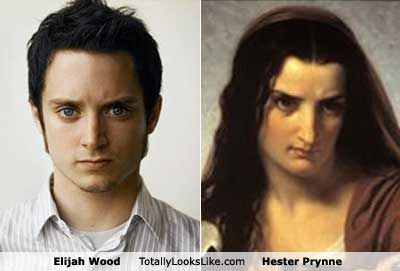 Holy google, he really *does* look like Frodo. Easy now. If I were two feet shorter and wore size 12 high heels, Frodo'd be my man, OK? But I'm with the others, I do like handsome bachelor number one the most. OK, I agree with Lelani. Bachelor number one gets my vote, too. Cindy – I wanna see the gnome! Where do I go to see the gnome? Heh. Well I needed some amusement today. And #1 isn't bad, but I also like Elijah Wood. Call me strange. LOL. It's amazing how our thoughts (even when we provide pics) don't translate into reality. Happens to me, too.